Nikon has told TechRadar that it is aiming for a 15% share in the cameras market, hoping to boost itself from its current 12% share by becoming number one in every sector of the market. Speaking at the launch of the recently announced Nikon D4, Jeremy Gilbert, Nikon UK's group marketing manager, said, "To achieve what we want to do, we need to have a balance of all products, supporting all the different customers." 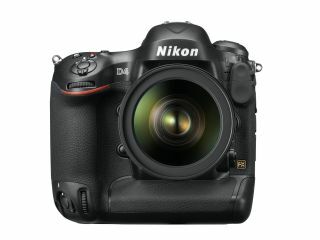 Nikon currently has models in pretty much all the different camera markets at the moment, with several different DSLRS, a wide variety of compacts, and its recent entry into the compact system camera arena with the Nikon 1 V1 and Nikon 1 J1. 2011 was a good year for the company, which ended with it having the best-selling DSLR in the UK, Europe and Japan, the entry level Nikon D3100, along with the best-selling compact camera, the Nikon Coolpix S3100. It has also managed to become the second biggest CSC brand with the Nikon J1 recently selling the most units in one week than had previously ever been achieved by any mirrorless camera. Nikon held only a 2.5% market share in April 2009, so its clear the company has already come a long way, and has a number of strategies to keep getting bigger. A key area for this is advertising, especially in the lower-end market, according to Jeremy, "Awareness is very important in that segment, and we want to broaden our customer base and match other markets."